Super excited and appreciative as my Image Earth Travel blog is nominated in the Best Photography Blog category in The Annual Bloggers Bash Awards 2019 (ABBA), which takes place in June of this year in London. Last year, I was thrilled to be nominated in the Hidden Gem 2018 category of the Annual Bloggers Bash and the first time that I heard of this award. Although I didn’t win the category, just being nominated is a fantastic achievement as this annual bloggers’ event is open to any blogger from around the globe, so it’s very stiff competition. 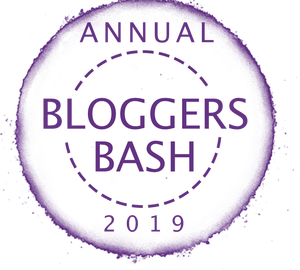 Click The Annual Bloggers Bash Awards 2019 Vote is Live! If you would like to vote for the Image Earth Travel blog, then scroll to the Best Photography Blog 2019 category and select my blog’s name. You only have until the 24th April 2019 at 21:00 (BST) to vote for any of your favourite blogs, so don’t leave it too late. Thank you to the Bash organisers! Once again, a huge thank you to the award’s creator Sacha Black. A special thank you also to the ABBA’s committee: Geoff, Hugh, Suzie, Helen, Graeme, and Adam for tirelessly organising, co-ordinating, and hosting the fifth amazing Annual Bloggers Bash Awards event in London. Want to buy a ticket to the Bash? If you happen to be in London on Saturday 15th June and want to attend the Bash, then you can buy your ticket online at: Buy Your Ticket Here! The Bash usually starts at 10:00 hrs and goes until 17:00 hrs, although you can carry on networking and socialising following the scheduled event. Wishing every nominated blog, the very best of luck in this year’s ABBA! If you decide to take the time out to vote for my Image Earth Travel blog, then I just want to say that I really appreciate your amazing support. Huge congratulations on your nomination. Your imagery is more than worthy! Thank you for taking the time to vote for my blog and for your kind feedback! Got my vote in for you!!!!! Hope you win!!!!! Well, you have a great blog and beautiful photos. I look forward to travelling with you every Sunday! Thank you and glad you can come along for the ride! Congratulations on your nomination 😊 Well deserved! !